Shopping for Donald Duck Statues? Yo ho a pirates life for Donald! Donald Duck is ready to explore the seven seas in this artfully constructed design featuring Jim Shore's signature combination of unique color palette and meticulous handcrafted attention to detail. 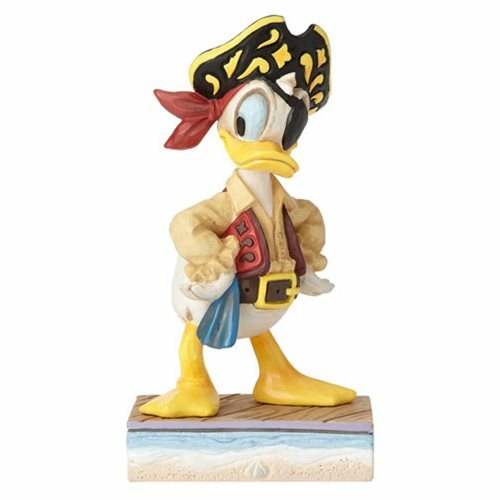 The Disney Traditions Donald Duck Pirate Salty Sailor Statue is made of stone resin. Ages 14 and up.